Finally, a way to know the Odyssey! This story from the popular and critically acclaimed series has been read by the talented actor, Victor Garber. Now fans who can't get enough of the vampire bunny, Bunnicula, will have something new to add to their collections. Beware the Hare! Is he or isn't he a vampire? Before it's too late, Harold the dog and Chester the cat must find out the truth about the newest pet in the Monroe household, a suspicious looking bunny with unusual habits...and fangs! After years of captivity on Calypso's island, Odysseus finds himself on the shores of yet another strange land. Meanwhile, his wife, Penelope, fears for their son Telemachus. His enemies, Penelope's unwanted suitors, plan to ambush and kill him upon his return to find his father. But the family's years of suffering come to an end, as father and son are reunited in a series of startling, strange, and magical events. Odysseus is finally home. And now his revenge beings. 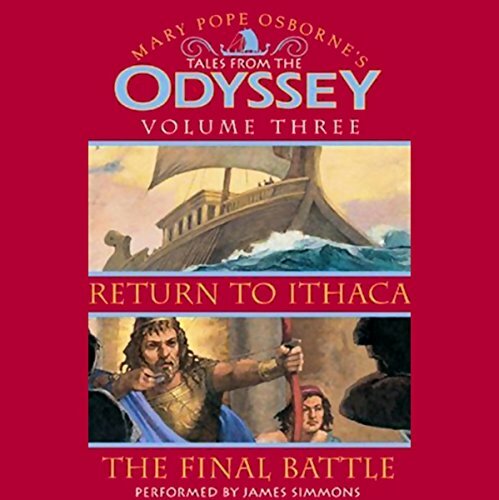 After struggling against the gods and his fate for more than 20 years, Odysseus has returned to Ithaca at last. But things have changed: his island has been overrun by suitors who clamor for his wife's hand in marriage and plague his son Telemachus. 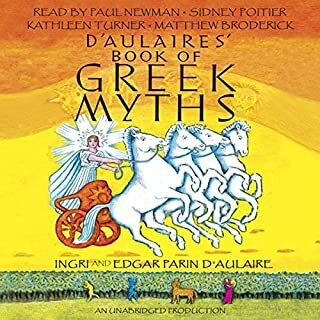 With the help of the grey-eyed goddess Athena, Odysseus and Telemachus must set out to regain control of Ithaca. 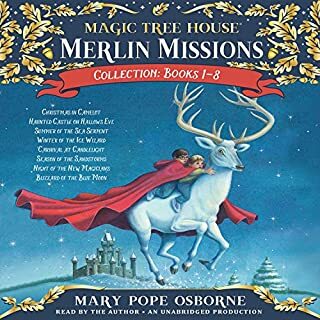 ©2004 Mary Pope Osborne (P)2004 HarperCollins Publishers, Inc.
A must-hear for kids of all ages. 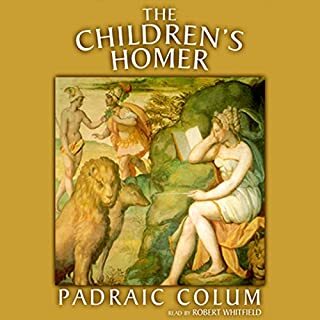 We homeschool and have used the entire series in our Ancient history studies. Both my 8 year old and 13 year old loved them all. Beautifully written and beautifully performed. Enraptured by all, along w/my 11yr old son, listening in bits, longing for tales unending! If you could sum up Tales from the Odyssey in three words, what would they be? 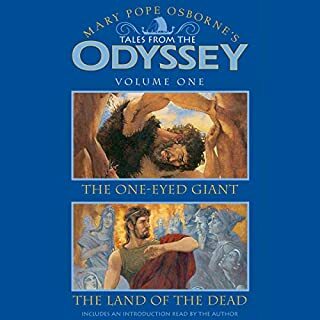 What other book might you compare Tales from the Odyssey to and why? 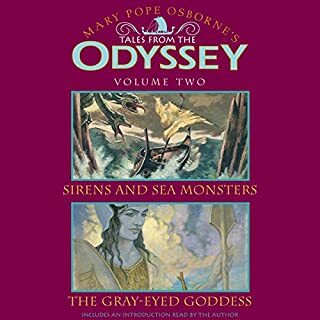 Would you consider the audio edition of Tales from the Odyssey to be better than the print version? Yes, especially for children. 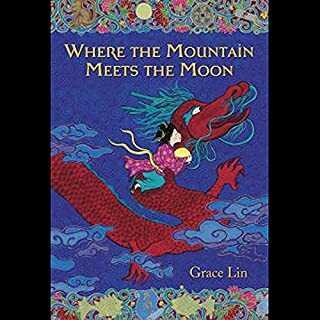 I think this tale can really move, interest, and excite children w/reading but often they don't receive this introduction because the versions of it are difficult to read. This series has brought to life The Odyssey for my family and I love it. Great great job. Now if I could get The Story of the World series in a downloadable version by Susan Wise Bauer--that would also be great. I can't think of a better reason to allow my 10 year old to stay up way past her bedtime which occurred every time I played this series at night after she finished her regular reading.